OK, so I’m late to this party. That’s because I’ve been busy. Also because nobody invites me to parties anymore, so I have to crash them and then I drink all the booze and yell at people, which is why nobody invites me to parties. None of that is true. Anymore. Except the part about me being late to the party, and being busy. They call that a LEDE, people. Look it up. It’s a writing term. 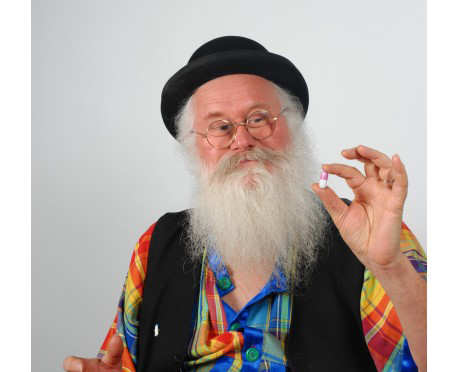 This guy claims to have invented a pill that makes your farts smell like roses or chocolate. According to The Telegraph, a Frenchman named Christian Poincheval has developed a range of pills aimed at making people’s flatulence smell sweeter that he says will make the perfect Christmas present. You can buy them online at pilulepet.com, where they retail for €9.99 euros for a jar of 60. “Mr Poincheval said he came up with the idea for the pills one evening when he was enjoying a hearty meal with some friends. “Our farts were so smelly we were nearly suffocated. Something had to be done,” he said. So he began researching natural ingredients that would reduce flatulence and after months of experimentation came up with the recipe for his pills. The part that stands out most about this story for me is who farts at the dinner table??? Yeesh. That’s disgusting.